It’s been a few weeks since PAX East, but as you all may know we have continuously been putting all of our interviews into our episodes of Not Another Gaming Podcast. I was lucky enough to go hands on with Sinner: Sacrifice for Redemption with Iain Garner of Another Indie. 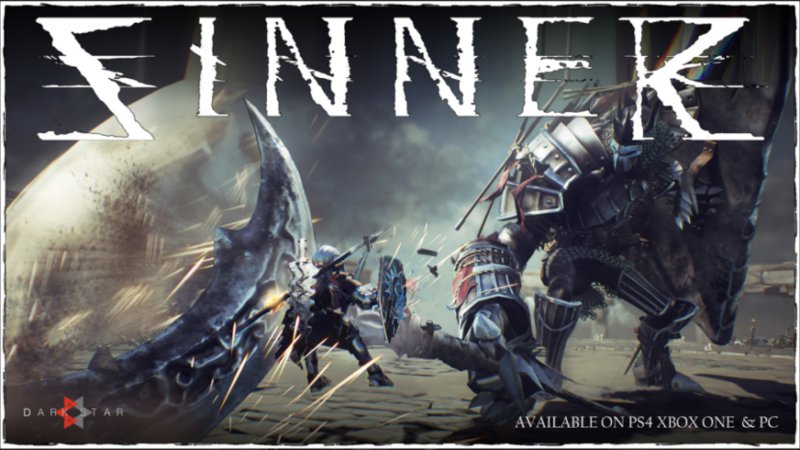 Sinner: Sacrifice for Redemption is essentially a mix between the intense combat stylings of the Dark Souls series, and the boss rush nature of CupHead. You are tasked with eliminating the 7 Deadly Sins and a final boos once all of them are defeated. It also follows in a similar vain to, how Iain explained, Shadow of the Colossus. 7 Sins lie in front of you and you can choose the order in which you fight them. This can create a sub meta for the community to determine what order may be the best to approach the game in as well as create a very interesting outlook for potential speed runners. The beauty behind Sinner is it’s simplicity in it’s story with no crazy over convoluted story arcs. Where the game really shines is in it’s combat mechanics where the games runs incredibly smoothly, the combat is fluid, the graphics look great and the creature design is unique. What sets Sinner apart from other notably difficult games such as Dark Souls is the REGRESSION system. Yes you read that right, a regression system. You start the game off with a full set of armor, weapons and equipment, but after you defeat each sin, you lose some of your gear. This forces the player to rely on improving with actual combat mechanics and skill in order to further progress into the game. If you are a fan of the Souls series, this is absolutely a game you need to keep your eyes out for. You can stay up to date with Sinner and the rest of Another Indie’s games here .